A big thanks to Drive Shop and Mazda for giving me the opportunity to find new roads in the 2016 Mazda 6! This year has been a roller coaster ride, it’s been a year of highs and lows and yet I’ve never felt more centered and blessed. In fact this has been one of the most extraordinary year in my life. It has been a year of finding new roads, as life is an ever evolving journey that we sometimes can’t predict or predetermine. And while every situation is different, we all face detours in life. The thing is, these detours are all meant to make us stronger and prepare us for new opportunities and possibilities. We all can have an abundant life rich with a sense of purpose, but you have to believe that an abundant life is within reach for you. You have to give yourself permission to go after things that gives you a great deal of joy and truly makes you happy, which may at times mean getting rid of excess baggage and trying new things. Don’t get me wrong the transformation process is never an easy task, as it forces us to step outside of our comfort zone. But the end of a metamorphosis process can be such a beautiful thing - just ask the caterpillar or should I say the butterfly. Life’s journey sometimes get dark yet you can always count on light being at the end the tunnel. Yes, the journey of life is filled with challenges, twists and turns, but we all still have the ability to arrive at various destinations of fulfillment, peace and joy. So don’t let fear intimidate you from not living - find ways to make yourself feel beautiful, glamorous and strong. Step outside of your comfort zone and find new roads to reach your destination of fulfillment. For you this may mean treating yourself to a day at the spa, shopping for new home decor, a new wardrobe or even start a business. This week for me this meant seizing the week and literally discovering new roads in the 2016 Mazda 6 courtesy of Mazda. I meant business in this beauty, with a sleekly redesigned front fascia with signature front bumper and grille. Pure carporn! 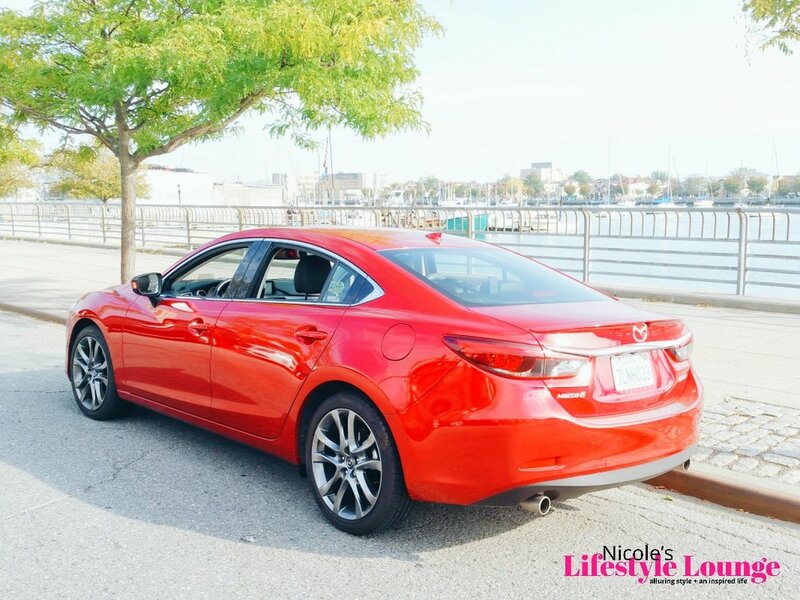 Mazda went the extra millimeter, so you could go the extra mile in this incredible 2016 Mazda 6 superior driving automatic transmission Skyactiv technology. The Mazda 6 makes life easy with remote keyless entry and push button start. The leather interior features heated seats plus bluetooth hands free phone and audio pairing. This baby hugs the road for a smooth ride and handles curves gracefully like the elegant beauty she is. Sometimes indulging in some guilty pleasures can give you the confidence that comes from investing in self. Despite the hurdles and detours life may throw at you, you deserve to sparkle like a diamond emerging from the coals. Commit yourself to the best version of you, so when you arrive at your destination, you’ll be arriving in style. Courageously embrace life, live in the moment, celebrate and enjoy your accomplishments! 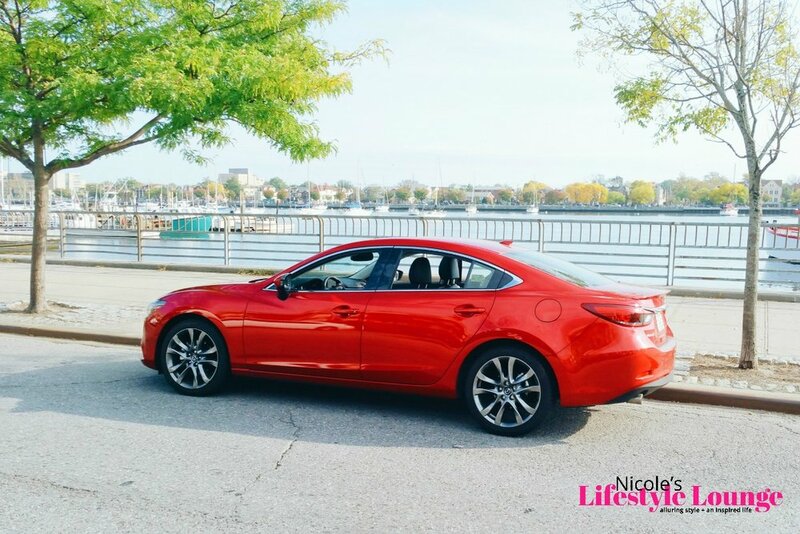 For more info on the 2016 Mazda 6 and to find a Mazda dealer near you, visit mazdausa.com!